Wow, they're gonna have to find some fit people to live in these apartments! IT WAS meant to be a striking symbol of hope and prosperity. But a planning bungle of epic proportions has allegedly left a new skyscraper in Spain without a crucial element - an elevator capable of reaching the top, local news site El Pais reported, claiming to have sighted the building contract. 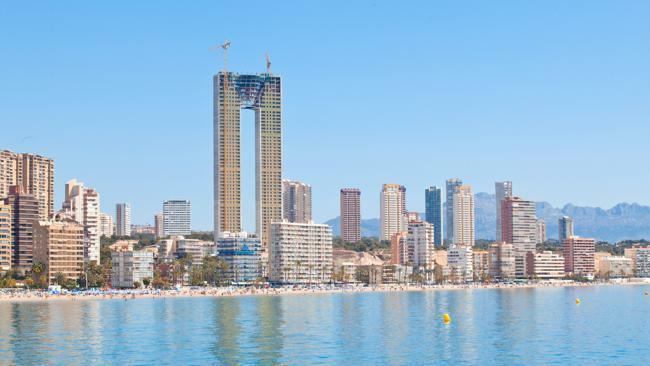 The 200 metre tall In Tempo building, located in the Spanish holiday spot of Benidorm, was originally meant to be 20 storeys high. But excited builders decided to extend it to 47 storeys. Only problem was, they allegedly forgot to redesign the elevator system to account for this, meaning the current design sees lifts able to reach level 20, beyond that there's only stairs. There just isn't space for a redesigned elevator. ...I can't help but laugh. Whaaa daaa faaaaahh?? hahahaha... epic fail.